In 2012, Maribor was the European Capital of Culture. That is why it was important to promote personal and bottom up initiatives in order to make them bigger. The House! Association created this courtyard project in order to incorporate it in the Ana Destnica Street Theatre Festival. 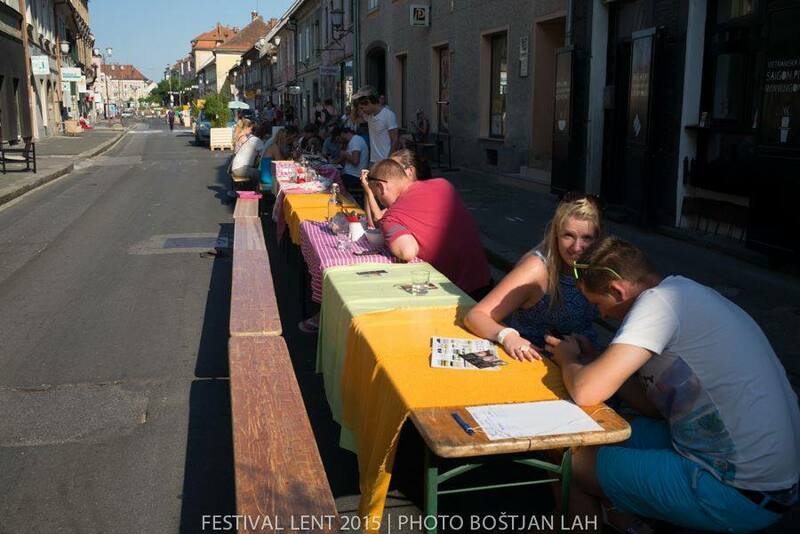 This festival is a part of a bigger festival, Lent Festival which is one of the biggest festivals in Europe. This festival takes place during the summer, during three weeks in the end of June and the beginning of July. Four years after, this project is still going on, and more and more important activities are created. This project was created by an association of four person: Katja Beck Kos who is the director/manager/programmer, Andreja Budar, who was the project leader and developer (coming from the Maribor city municipality, project Office), Robert Veselko, an architect from MI:2A and Kaja Pogacar, an assistant professor for the Architecture and Urban Planning of the University of Maribor. The team has evolved during years and is now composed of Katja Beck Kos, Mag. Maja Pegan, Duska Maglica, Tjasa Perovic and Anja Kolesa. Even if creating objects, or changing the design of the place is not the main goal of the project, we can notice that design helps the project. It is a way of making the project more attractive and to offer new possibilities to people. Tajsa Perovic, who is now a part of the project, explained that they are working with architecture students in order to create new objects and to renovate the courtyard with a small budget. They create all kind of design, such as games, tables, etc.